(Newser) – Nearly two months after she was robbed at gunpoint, Kim Kardashian was supposed to make her "return to the spotlight" Monday night at a New York City gala, E! reports. 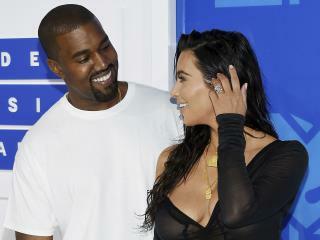 Instead, Kardashian skipped the Angel Ball, which raises money for cancer research and was specifically honoring her late father Robert, and rushed to be with husband Kanye West at UCLA Medical Center in Los Angeles after his hospitalization, Us reports. Kris Jenner, who attended the gala, told reporters West had simply been "really tired" from a "grueling tour" when he abruptly canceled tour dates. "He’s dealing with a lot more subtle issues." Yes, he's insane. He endorsed Trump, so he's obviously mentally ill.
Hard to say what effect this will have on his 2020 presidential bid.I hope he gets well we will need another great leader like Don.